The cold times of the day are often the times you run. 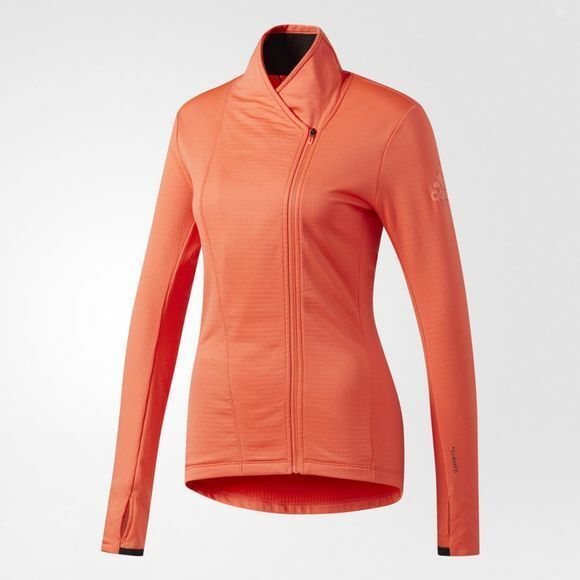 Take on the chill in this women's running jacket. climaheat™ insulation traps your body heat. An off-centre zip front and overlapping collar offer wraparound warmth, and thumbholes that change into gloves deliver on-the-go, adjustable coverage.